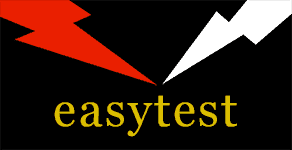 easytest provide the original and the best online test and tag course. We have been conducting testing and tagging training for over 10 years – successfully trained 100’s for Test and Tag Certification across Australia. easytest are still the only fully online Nationally Recognised Training for in-service Test and Tag, so if you are considering achieving your Test & Tagging certification then download, complete and email us the Enrollment Forms to start your Test and Tag Course. UEENEEP024A is not available in Queensland. UEENEEP026A is available in Queensland but you cannot test for profit without a restricted contractor’s license. Online test and tag allows you to undertake the study at a time that suits you, in the comfort of your own home. Don’t Waste Your Time – get Certified now! Dont waste your time or money – Get Test & Tag certified online now and start earning money doing test & Tag work sooner. You just log into our online course from your own PC and go through it in your own time – any time – night or day. If you have further questions please refer to our Frequently Asked Questions or contact us with your query. We’re always happy to help you with further information.